Fewer than 100,000 people in Hawaii claim German heritage, but that doesn’t mean you can’t find a good Oktoberfest party while you’re here! Typically, this autumn festival lasts 16 days in Germany (Sept. 19-Oct. 4 this year), but here in Hawaii, the festivities last all month long. This party at the King Kamehameha’s Kona Beach Hotel will have live music by Maka, Green Machine, The Darkroom and Leche De Tigre with a guitar showdown called “Guitarmegheddon.” In addition to the musical performances, there will be improv comedy by The Alohahas, two Halloween costume contests and a chicken dance off. $20 advance, $30 at the door. 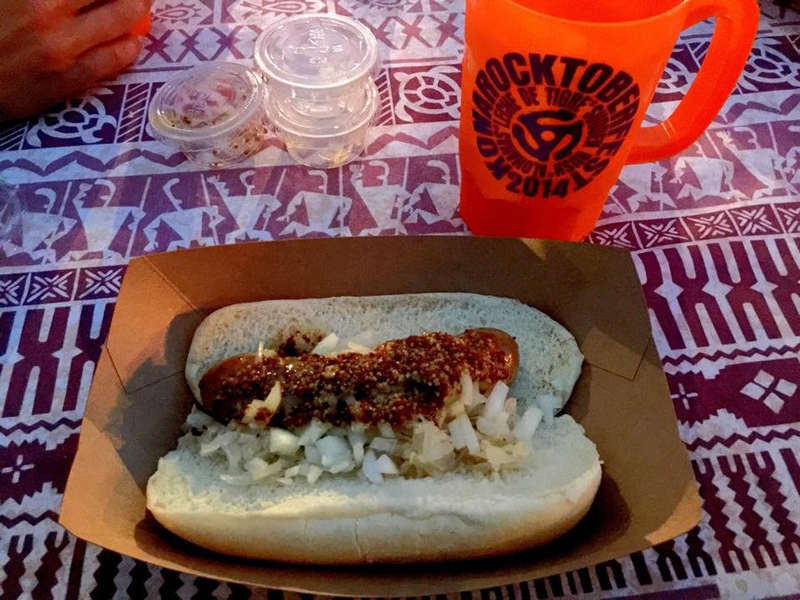 2:30 to 8:30 p.m., King Kamehameha Kona Beach Hotel, 75-5660 Palani Road, Kailua-Kona, konarocktoberfest.com. After spending a few hours at Oktoberfest, keep the party going at the Royal Kona Luau, which you can book through Hawaii Aloha Travel. In Kona, Rocktoberfest is held at the King Kamehameha Beach Hotel and features live music. Sheraton Maui Resort and Spa Chef de Cuisine Jeffrey Rayno created a special Oktoberfest menu for Black Rock Kitchen that features soft German pretzel sticks with beer cheese sauce, paired with a bright and hoppy Pinkus Pilsner; followed by bratwurst stewed in beer and sauerkraut with a spicy honey and pineapple mustard sauce, balanced by a malty and smoky Aecht Schlenkerla Rauchbier Marzen; next is an apple cider brined pork chop with mustard spätzle, red cabbage and mustard beer braised apples, paired with Maui Brewing Company’s Kihei Kolsch; and a black forest cake with sour black cherry filling and cherry gastrique, accompanied by Big Island Brewhaus White Mountain Porter.$45 per person, and $15 for corresponding beers, 5:30-9 p.m., for reservations call (808) 662-8053. For a limited-time Hard Rock Cafe and Samuel Adams are celebrating the quintessential Bavarian festival with the Samuel Adams OctoberFest schnitzel burger and beer. Enjoy the German flavors of a lightly-breaded pork cutlet, sauerkraut, mustard on a pretzel bun and wash it down with a nicely-paired Samuel Adams OctoberFest beer. Sunday through Thursday 11 a.m. to 11p.m., Friday and Saturday 11 a.m. to 12 a.m., Hard Rock Cafe, 280 Beach Walk, Honolulu. Special guest, Chef Fuido Ulmann, headlines a night of Bavarian flavors with the Edelweiss Trio provding the music. There will also be three contests that evening: bratwurst eating, chicken dance-off and stein-hoisting. $10 pre-sale by Oct.8, $15 at the door, children 5 and under are free, 5:30-10:30 p.m., Mauna Kea Ballroom, 100 Holomoana Street, Honolulu. After a night of sampling Bavaria’s best beers, consider sampling some local grindz (food) by booking an Aloha Plate Tour of Oahu, during which a seasoned guide will take you on an exclusive food tour around the island. 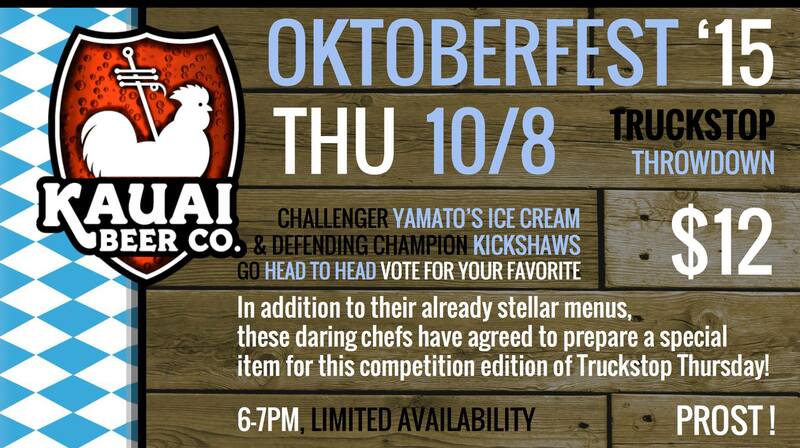 At the Kauai Beer Company, Oktoberfest is taken very seriously, with a special menu launcing, a food truck throwdown, and a trivia night. Kauai Beer Company is hosting a week of Oktoberfest festivities on the Garden Island with a special menu launching on Monday, Oct. 5, a food truck throwdown on Thursday, Oct. 8 and trivia night on Saturday, Oct. 10. They’re also serving their annual Oktoberfest Marzen, a malty, seasonal lager brewed especially for the season. Kauai Beer Company, 4265 Rice Street, Lihue. Just because you’re approximately 7,590 miles from Munich, Germany, it doesn’t mean you can’t find fantastic Oktoberfest in Hawaii celebrations. So, check-out these venues that bring Bavaria to Hawaii, and drink up!